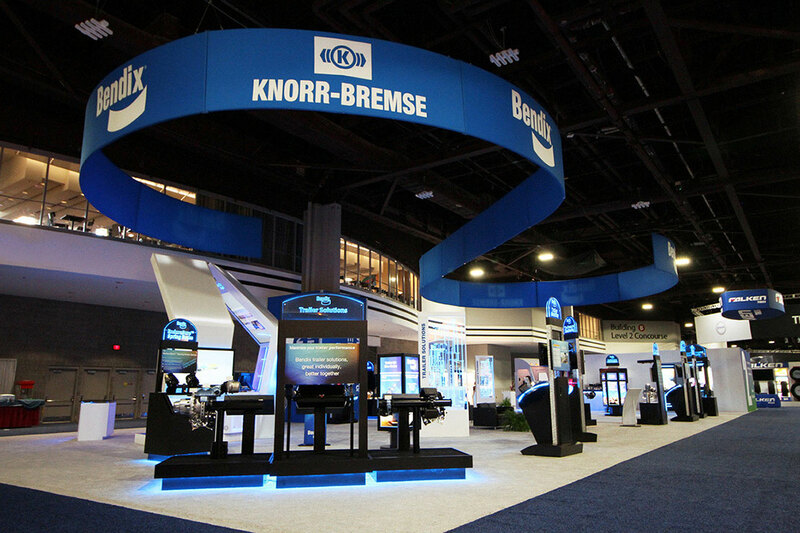 Bendix Commercial Vehicle Systems, a member of the Knorr-Bremse Group, develops and supplies leading-edge active safety technologies, energy management solutions, and air brake charging, and control systems and components for medium and heavy-duty trucks, tractors, trailers, buses, and other commercial vehicles throughout North America. The inaugural NACV 2017 show was a new vision for the trucking industry – focused on fleet decision-makers and influencers in a B2B setting. Bendix wanted to drive traffic to the booth, educate attendees on each of their products and encourage sales interactions. 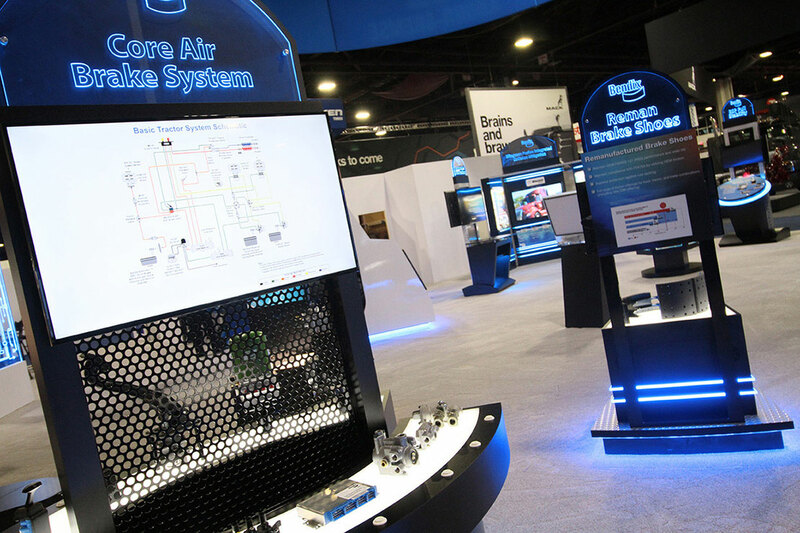 We were tasked to design and engineer a 50’ x 110’ space in the exhibit within a five-month production period that would drive product awareness and engagement. Our Account, Project Management, and Design teams created a strategy built around driving booth traffic, educating attendees and encouraging sales interactions. 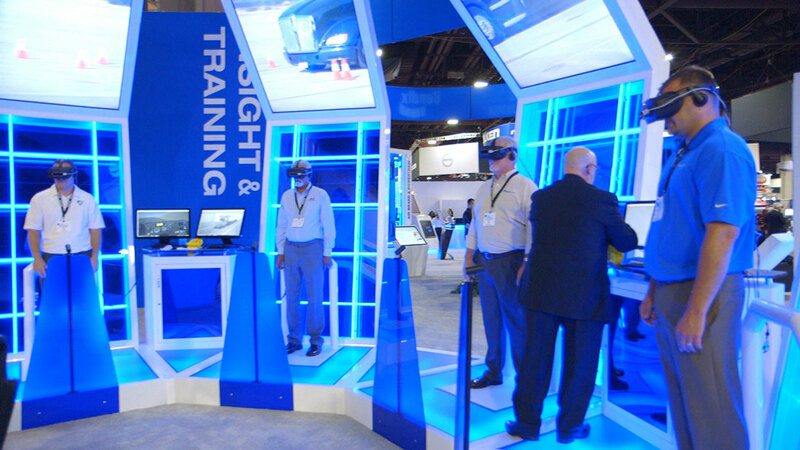 We offered multiple booth designs, interactive layouts, and storyboards detailing a custom Virtual Reality experience. We worked with Bendix in a collaborative and iterative manner until we arrived at a final solution. 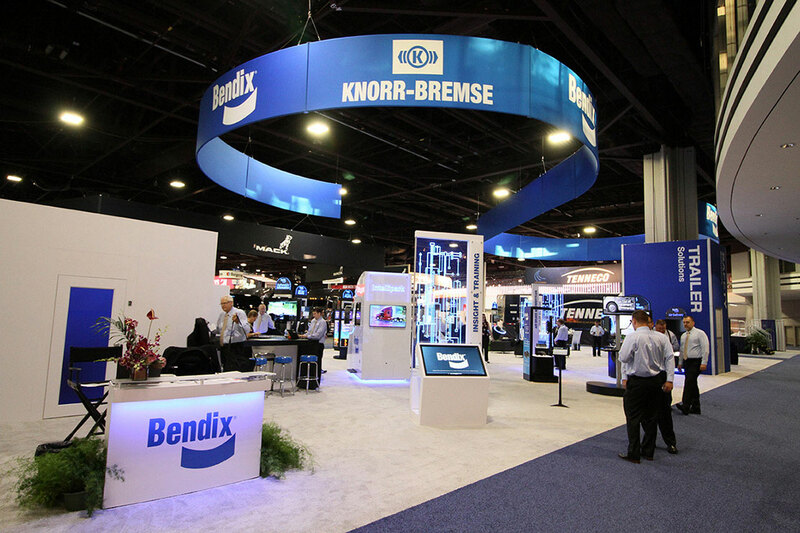 White structural elements along with acrylic edge-lit plexi brought a high-tech feel to the exhibit while also providing consistency to the presentation of Bendix’s various product lines. The theme was further carried over into a massive four-person Virtual Reality experience that we positioned along the main aisle of the booth. This highly visible and experiential element attracted attention and drove traffic into the booth providing attendees a fun, memorable, and educational overview of Bendix’s products as well as a natural icebreaker for the sales staff to interact with customers. The highly branded booth provided an open concept design and modular capability for smaller shows in the future. The new booth was a success. Our solution drove product awareness and engagement for Bendix at the NACV 2017 show. 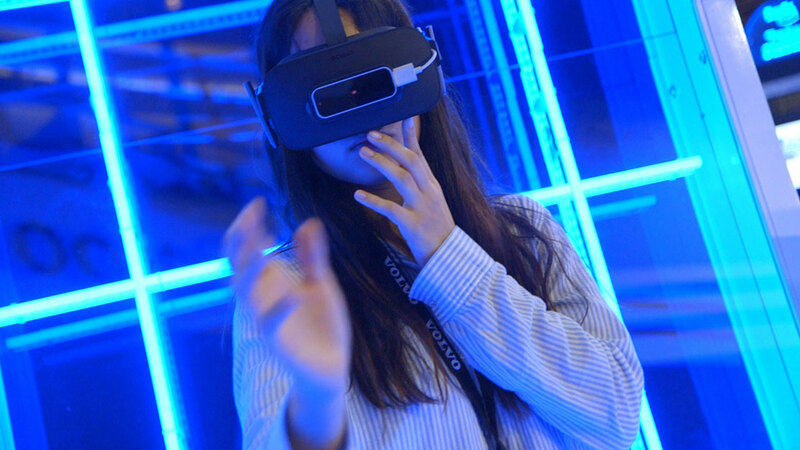 The Virtual Reality experience was busy for nearly 100% of the show hours, and the welcome desk staff was bustling from open to close, addressing prospective customers’ questions and ensuring attendees spoke with the appropriate product line salesperson.